Hello everyone! This is Maria Apostolou and today I thought I'd share what I've done so far with my letters. As soon as Evelyn assigned the letters, I got very excited and started researching various words starting with J and K. Then I decided to narrow it down and search for plants starting with these letters. I thought that this way, I could also incorporate the finished pieces in my botanical series. As it turns out there are not many plants starting with J and there 're even fewer options starting with K. In the end, I decided to go with Jasmine for J and Kalanchoe for K.
I like jasmine because it's so delicate and fragrant. I also have so many childhood memories of summer nights, where the smell of the jasmine vine was an integral part of the scene. Kalanchoe is a whole other story. It's a sturdy flowering succulent plant, it doesn't need much care or attention and it does very well on its own. The leaves are thick, shiny and they have these nice scalloped edges. 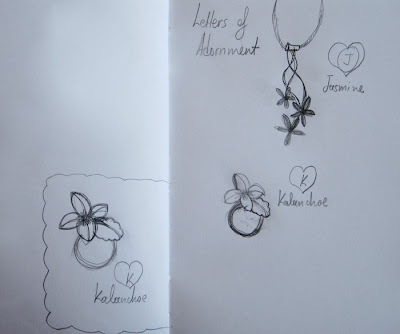 First, I made a few drawings for a neckpiece, reminiscent of the jasmine vine. I also plan to make a ring, inspired by the kalanchoe. For the actual flower, I will try a form that I haven't done before and hope that it will work out. The jasmine neckpiece came together fast and it's almost finished. I have a bit more sanding to do and I'm also making a hook clasp and end tubes to secure the red silk cord. 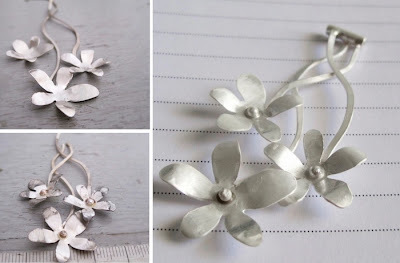 For the kalanchoe ring, I will experiment with polymer clay and make a few samples, before I fabricate it in silver. I'd love to hear what you think so far and also read how you plan to work with your letters! So exciting! Sometimes it's more interesting and challenging when you don't have as many options. I love what you picked and why you picked them. The neckpiece is beautiful!!!!!! beautiful! I love Jasmine flowers- took one to college with me when I first left home. That flower was a survivor! And yes, jasmine is definitely a survivor, another reason why I love it! Thank you Pallavi! 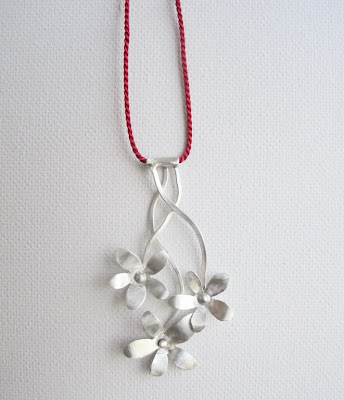 I love the red with silver and I usually prefer it for cording etc. 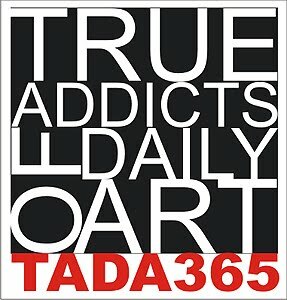 Looking forward to seeing your ideas for this show!